After his experiences in the Electronic World, Jet, like Flynn before him, has become troubled and quit ENCOM, leaving his former life behind in favor of seclusion from digital technology. 6 months after the events of Tron 2.0, we find that Jet Bradley has become troubled by his memories of his time in the Electronic World and decides to quit his job at ENCOM. Meanwhile, we see the initialization of several procedures by ENCOM's computer system. One of the files, JET.EXE comes up as not found. The system then initiates a decompression of the file from backup and installs it. In the Electronic World, Jet, or a copy of him, appears. 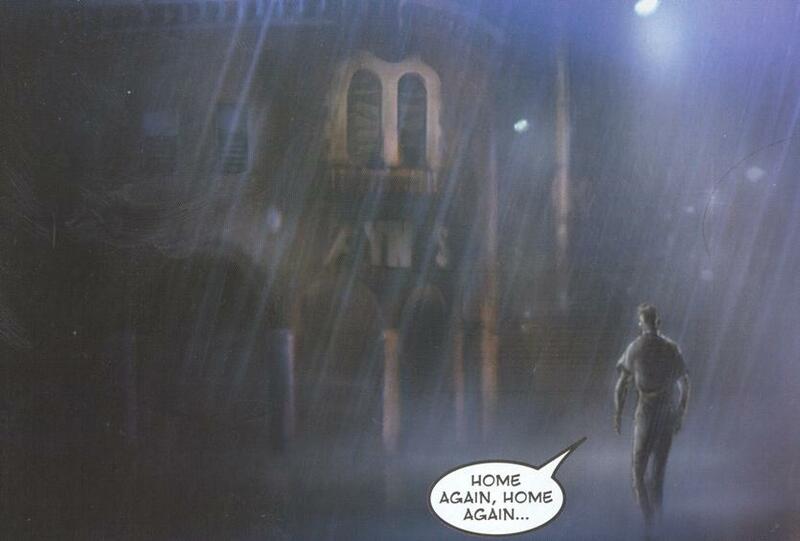 Back in the real world, Jet appears to be living in the former apartment of Flynn, above the abandoned arcade. His father, Alan, is trying to talk him out of quitting his job at ENCOM, telling him he needs to get over what he experienced during the events of Tron 2.0. 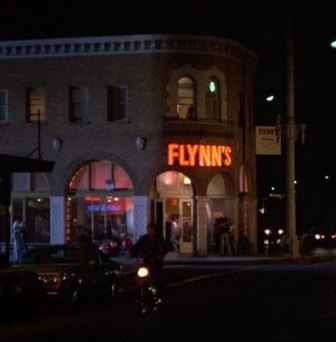 Jet refuses and Alan finally convinces him to at least see the psychiatrist Flynn had once seen for similar reasons. At his first session with the psychiatrist, Jet reveals that he has frequent nightmares about watching himself in the Electronic World with someone else controlling his actions. He also seems to feel the weight of being a participant in the creation/destruction of entire universes and lives as a User of programs in the Electronic World. Later, Alan receives a mysterious phone call in his office at ENCOM while the night watchmen witness Jet enter the facility over a video monitor. Jet arrives home and gets a phone call from his father, but the call is quickly lost. Then the police show up to ask him some questions. Jet is suspicious and flees in a stolen cop car. He looks up a report on the dashboard computer and finds that his father has been reported murdered. He drives to ENCOM and Ma3a shows him video recorded that evening that shows Jet himself shooting his father in his office. The police arrive and Jet has Ma3a activate the digitization process just in time to escape into the Electronic World. He is greeted by a female soldier who tells the new conscript to get on his feet, there is a war to fight. TO BE CONTINUED IN TRON #2. Ghost in the Machine is a sequel to the storyline of the Tron 2.0 video game. The mini-series' title, Ghost in the Machine, is a term used by British philospher Gilbert Ryle (1900-1976) to describe Rene Descartes' (1596-1650) philosophy of mind-body dualism, that the mind is separate from the phyiscal body. The first page of the comic delivers a nice recap of the early days of ENCOM, the events of Tron, and the events of Tron 2.0 in text format. On page 3, the ENCOM system installs SECURITY.DLL and SHOST.EXE. Then it installs MCRY73.EXE; this name is likely an abbreviation of Mercury, a female program who assisted Jet in Tron 2.0. The system is then unable to find JET.EXE, so it decompresses a backup copy of the file and installs a copy of Jet back into the Electronic World. Notice also that it appears that the circuitry of the Jet copy is beginning to turn from blue to red as he looks around him. Pages 6 and 14 seem to show that Jet is now living in Flynn's old apartment above the abandoned Flynn's Arcade. 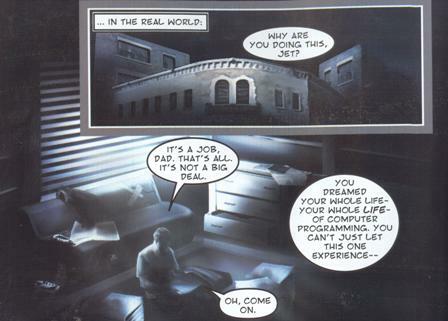 Alan's discussion with Jet on page 7 indicates that the events of Tron 2.0 took place 6 months previous. Since page 18 states a current date of April 2006, this indicates Tron 2.0 takes place around November 2005 (even though the game was released in 2003). Alan asks Jet go see a psychiatrist, the same one whom Flynn started seeing after returning from the Electronic World. 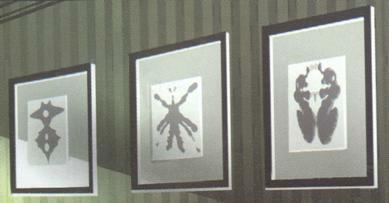 On page 8, we see that the doctor has three Rorschach inkblots framed on the wall of his office. I may be wrong since I'm not a psychiatrist and have never been to one, but isn't it a bit odd to have such obvious psychological tropes as decorations in a psychiatrist's office? I mean, wouldn't the doctor want to put the patients at ease when they enter as opposed to reminding them where they are and what they are there for? Note: the three inkblots seen here are not part of the ten blots normally seen in a standard Rorschach test. During Jet's first psychiatric session, we learn that one of the things that is troubling him (and why he is now avoiding all forms of digital technology) is that he now realizes that he has played a part in creating a universe. And he dwells on what happens when he turns a computer off? Or when he reformats a hard drive? Is he destroying an entire universe? On page 12, some night watchmen at ENCOM see Jet enter the building. Shortly after, Alan is allegedly found murdered. Notice that Jet's entrance to the building is seen only on digital video camera and we later have only the police reports to indicate that Alan has been murdered and that Jet was seen armed. This computerized second-hand evidence suggests that someone or something in the system may be setting up a false scenario. On page 13, we see a computer screen go through the steps of searching for a customer account number assigned to Jet Bradley. The account then has its payment history deleted and is marked "PAST DUE" and customer terminated. The phrase "END OF LINE" appears at the bottom, hinting that perhaps the MCP is back in town? Page 18 indicates that the date of Alan's alleged murder is April 19, 2006. Page 20 suggests that Jet was shot by the police just before the digitization beam fired and digitized him. If he reintegrates back into the real world later, will he be dead or injured from a gunshot wound? The Electronic World knows the User Alan Bradley as Alan1. But there are a couple of references to an Alan2: when the system initiates an installation of the Jet.exe backup it initiates ALAN2 SUBSET JET.0023785.EXE and when Jet initiates the digitization process on page 20 he tells Ma3a, "Target Alan2. Authorization JET092792." In Tron 2.0, Ma3a at first refers to Jet as Alan2 because, in her mind, he is a later version of Alan1.